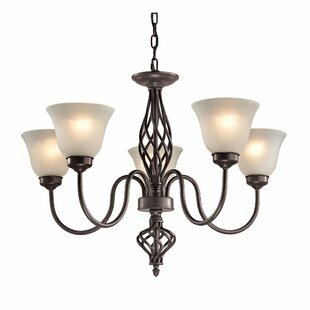 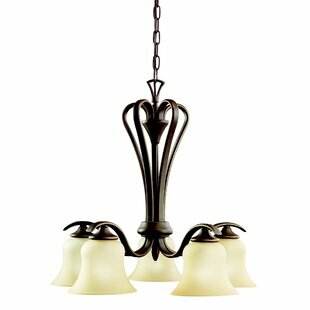 Instill a sense of royal elegance to your home with the ORE 1 Light Chandelier. 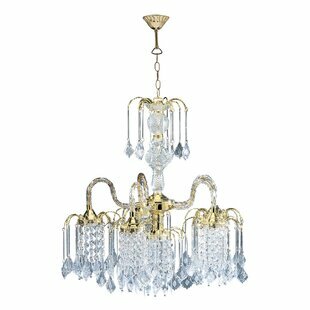 Its traditional design features a golden-finished curvy frame decorated in a wide assortment of crystalline accents all around. 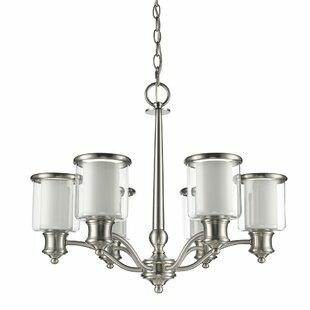 This chandelier features six crystal-covered shades, each of which house a bulb holder that powers a 40W incandescent bulb, which is capable of producing the perfect illumination for your home. 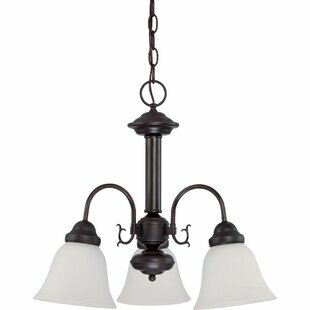 The color temperature of each bulb is 2700 Kelvin, which lights up your room in an enchanting... 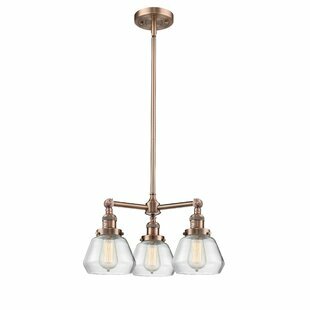 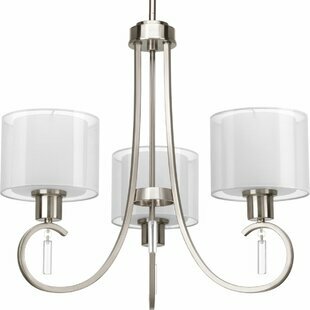 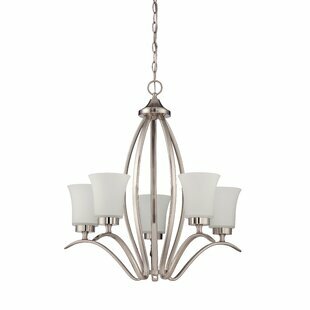 Number of Lights: 6 Fixture Design: Shaded Chandelier Adjustable Hanging Length: Yes Fixture: 25 H x 19 W x 19 D Overall Weight: 13lb.